PulseOn nominated in the 2015 Running Awards! 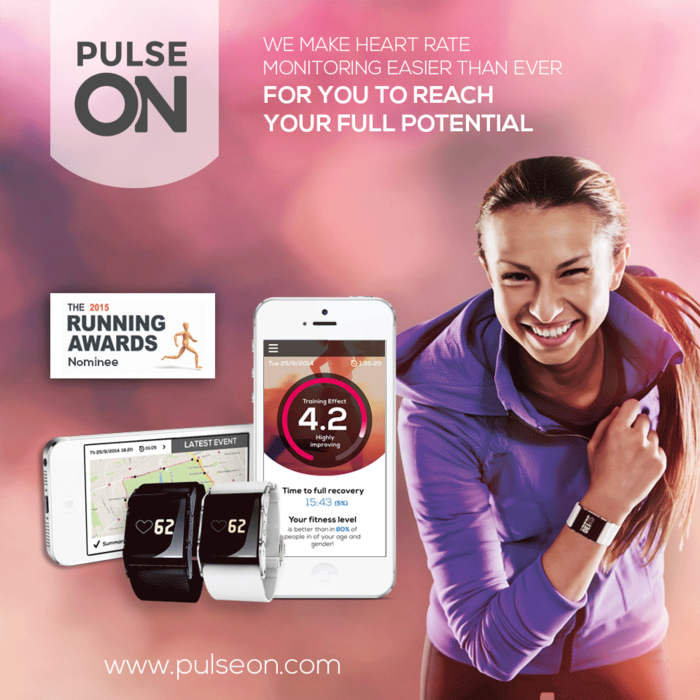 We are excited to announce that PulseOn has been nominated for the best Running Tech in the 2015 Running Awards. The Running Awards are an annual awards ceremony celebrating the best of running and its culture in the UK. This means everything from the best shoes and marathons to the most exciting blogs and accessories. We are glad that our vision for the world’s easiest heart rate monitoring with our small and accurate wrist device providing meaningful insights has been noted! The new PulseOn heart rate wrist band is truly changing the way people think about monitoring heart rate during exercise. Support us and place your vote for the stylish and strapless PulseOn, the heart rate monitor that goes beyond tracking! We are thankful for your great support and please continue spreading our love for meaningful heart rate monitoring!